A neighbor with good things to say about Rochelle Foods was enough to get Mike Masters to apply for a position at the Illinois plant. 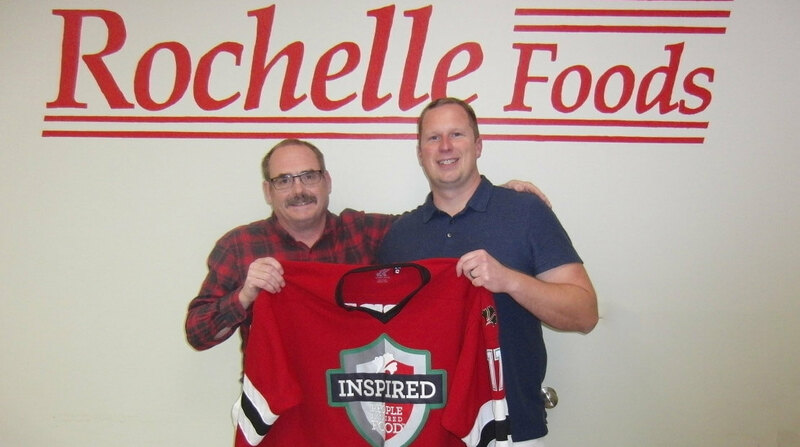 Rochelle Foods Plant Manager Bill Rice & Mike Masters. 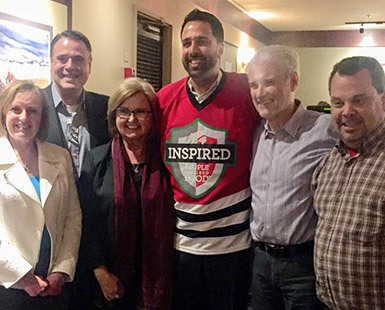 Seventeen years later, Mike is still loving his job and of late, working to further the culture of Hormel Foods as a facilitator of the company’s Cultural Beliefs. His enthusiasm is apparent. 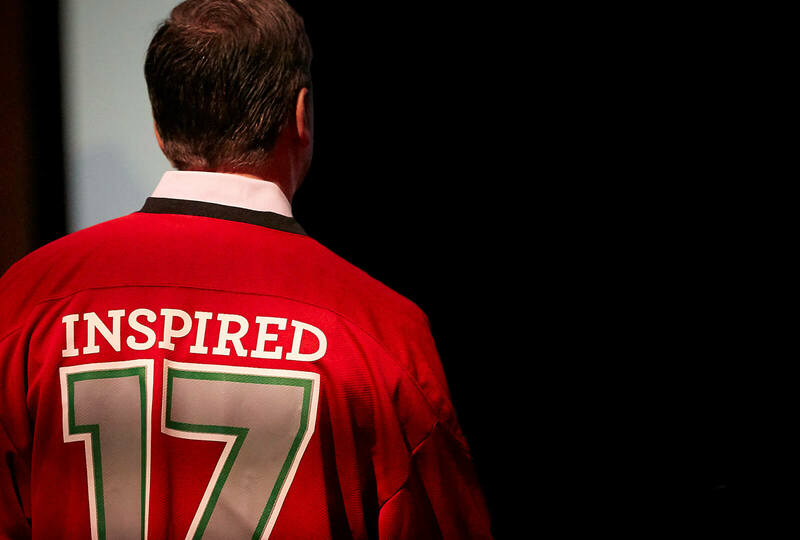 In fact, it is one of the qualities that led to his selection as the location’s first Pride of the Jersey recipient. “Mike does a great job demonstrating and supporting our Cultural Beliefs on a daily basis. 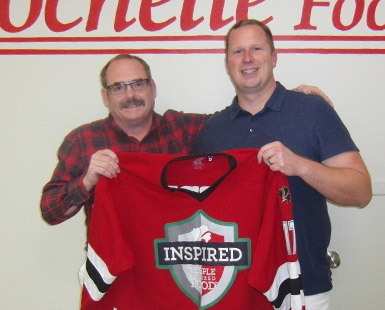 I can always count on him to have a positive attitude and be a leader in our plant,” said Plant Manager Bill Rice as he was giving him the company jersey. When you go home at the end of the day, you feel like you’ve accomplished something. That you’ve made a difference. Mike left the farm to attend college, where he majored in business administration and minored in social arts. As he was finishing his degree, he wasn’t sure what his next step should be. Rochelle Foods seemed like a good option, based on the recommendation of his friend’s stepfather. Plus, it was just the first stop of what Mike assumed would be many on his career path. Fortunately, he was only half right. “You get a few years in, and it’s hard to leave,” he says. His manager, Shawn Raymond, offers some insight. Mike has long been an ambassador of the strong culture of Hormel Foods. So, when he was asked to formalize his role, “it made sense” to step up, he says. He was already leading what he calls “an abridged version” of the session for line employees. Now he is one of the people responsible for introducing newly hired employees to the culture of Hormel Foods, in addition to his role as lead supervisor on bacon. “I couldn’t do it without the team of people I work with. They make it easy for me to adopt the culture we’re trying to go to,” he says. Still, receiving the jersey came as a surprise. “I heard Bill talking about the winner. Then I began to realize he was talking about me,” he says. Mike didn’t take the jersey home, worried it would get soiled. However, he sported it during the plant’s SPAM® cook-off competition, a celebratory event for the brand’s 80th anniversary. Mike and his team’s grilled SPAM® kabobs – made with pineapple, green pepper and maple bacon – didn’t capture the grand prize, but he was nonetheless happy with the result. Mike and his wife, Natasha, are the parents of Abigail, their 2-year-old daughter. Free time for Mike and Natasha consists of family activities, day trips and camping excursions. He’s also a fan of the Chicago Bears and Cubs, and during the summer months, he plays golf. “Not really well, but I still like to try,” he says. “Interacting with the people is great. When you go home at the end of the day, you feel like you’ve accomplished something. That you’ve made a difference. You come in the next day to do it again, but the next day is never the same,” he says.